For the most avid baseball fans, it’s a dream to get a ball autographed by their favorite player. but Kaplan dreams of having baseballs signed by world leaders. As a child, Kaplan collected comic books and baseball cards and continued his passion for collecting throughout his teenage years. But once he met Bush, he knew he should focus on more historical figures. 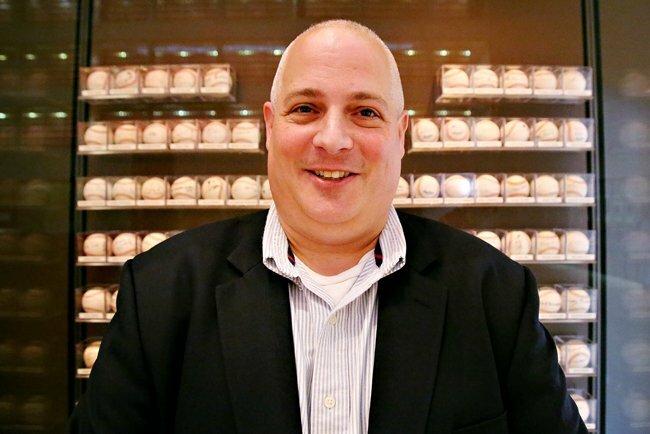 Since then, Kaplan, a governmental affairs specialist in New York, has collected baseballs signed by world leaders and heads of state from all around the globe. In 1996, President Bill Clinton was the first U.S. president to sign one of Kaplan’s balls. Eighteen years later, he has added over 170 autographs to his collection. Each and every signature comes with its own tale. “Each ball has a wonderful story behind it,” Kaplan said. But collecting signatures of presidents and world leaders hasn’t been easy. Kaplan only uses official Rawlings baseballs, and he must obtain the autograph by himself or with the help of government officials. Kaplan refuses to buy any balls for his collection. Kaplan says his favorite and busiest time of the year is during the week of the U.N. General Assembly in New York City, where he’ll try to get as many autographs as he can. He once tracked down the hotel where former Nigerian President Olusegun Obasanjo was staying to get his signature. Another time he asked a friend of his to teach him how to speak Russian so he could get an autograph at a book signing from former Russian President Mikhail Gorbachev. Kaplan has gone to great lengths to get signatures he wants. This collection has been Kaplan’s passion and he doesn’t plan to stop any time soon. But, for now, Kaplan’s collection is on exhibit at the LBJ Presidential Library until December. This isn’t the first time Kaplan has had his collection on display, but it is the first time that it is featured as a standalone exhibit. Kaplan is thrilled to have his collection featured at the library and says that it’s an honor to share it with the world. The collector’s next goal is to write a coffee table book about his collection. He’d like to document all of the great stories and thank all of the people who helped him get his balls signed.